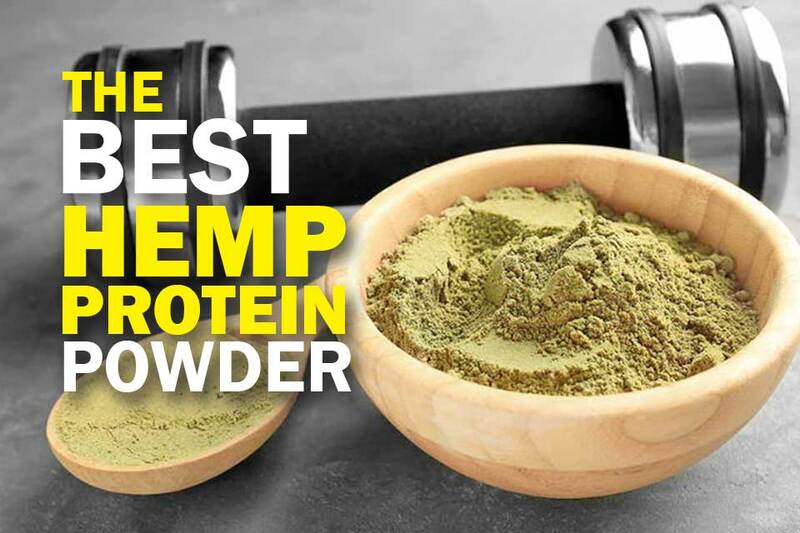 What’s the Best Hemp Protein Powder? A walk down the aisle of the local health food store is all that’s needed to realize the supplement market, especially the protein supplement market, is bursting at the seams. It can be hard to figure out which protein powders are actually good for you and which are just an agglomeration of various artificial ingredients intended to appeal to your taste buds. The simple fact is that if you’re looking for an all-natural type of protein that will provide optimal benefits with few if any side effects is your best, most reliable choice. And that’s true whether you’re lactose intolerant or just want to take a break from the assault of chemical additives present in many other types of protein powder. 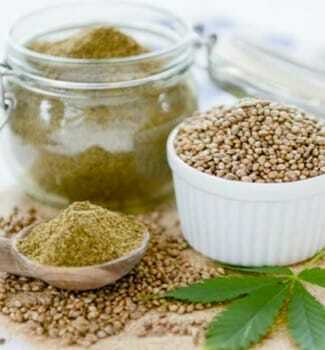 ​What is Hemp Protein Powder? ​Any Side Effects To Be Aware Of? Below is our list of the best hemp protein powder supplements on the market today. Orgain is a pretty well-known producer of dietary supplements and has built a solid reputation for playing things straight and delivering high quality at reasonable prices. Their Organic Plant Based Protein Powder uses all natural plant-based materials buttressed by a slew of valuable nutrients and has both a texture and flavor that's a cut above the competition. They don't achieve their palatability through trickery or loading up on artificial flavor enhancers or sugar. Instead, they take the time to research and develop ingredients that complement each other while still delivering the nutritional benefits you're after. An outstanding all-around protein supplement that won't let you down. If you are vegan, you are well aware of how challenging it can be to obtain enough protein in your diet without partaking of dairy or animal food products. Even some of the most popular supplements use animal-based sources for their protein. Not Nutiva Organic. Nutiva takes the nutritional high-road by sourcing their protein from hemp seeds. It is known to be extraordinarily effective, and Nutiva doesn’t require buttressing from genetically modified organisms in order to deliver its complement of BCAAs, essential omega 3 and 6 fatty acids and low carb goodness. ​With 11 grams of protein per serving Nutiva helps you fill a vital nutritional gap and lets you rest easy knowing you haven’t violated the terms of your vegan lifestyle. Each serving of Manitoba Harvest Hemp Pro 70 provides up to 20 grams of pure hemp protein with no genetically modified organisms used as fillers, no hidden animal products, and very low carbs. Harvest Hemp Powder makes particularly tasty shakes because its own subtle flavoring doesn't get in the way of or compete with whatever fruit or other ingredients you want to add. 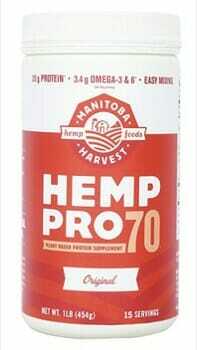 Harvest Hemp Pro 70 is vegan-friendly with no dairy or soy. It's also certified kosher. This is a great choice for everyone from busy professionals on the go to bodybuilders and other athletes for whom sheer physical strength is a primary concern (as opposed to say runners who have different nutritional needs). ​While the product is advertised as being high fiber, it's really more moderate in fiber when compared to the competition, but that's nitpicking. This type of protein is perhaps the best, most effective source of plant-based protein there is. And when it’s derived from organic grain of exceptional quality, it's an even better nutritional value. Bob's Red Mill Powder strives hard to be the perfect supplement. And while it's somewhat grainy texture perhaps prevents it from claiming the accolade "perfect" it's nonetheless pretty close. With a light nutty taste and a robust load of amino acids and other vital nutrients, you're going to feel the difference quality ingredients make when you choose Red Mill for your hemp protein shakes or smoothies. Just to add some icing to the cake Bob’s Red Mill is 100% free of genetically modified organisms and always soy and gluten free. If you're looking to add some much-needed protein to your diet, Natera delivers a highly useful blend of natural protein, other nutrients and antioxidants. Natera not only helps you maintain optimal muscle strength and tone but also helps shorten recovery time after strenuous workouts. Vita Activate has formulated their Natera Hemp powder without the aid of soy, dairy or animal products and as such is one of the few truly vegan-friendly protein supplements on the market today. Loaded with antioxidants, amino acids as well as essential omega 3 and 6 fatty acids Natera is a powder you can rely on whether you’re a vegan needing to top up your protein intake or a bodybuilder looking to get shredded for an upcoming competition. In addition, it is typically easier on the palate than most animal-based proteins and so does not need a plethora of artificial additives to mask its flavor, as do many animal-based protein supplements. It is high in essential omega 3 and 6 fatty acids and a vital source of gamma linoleic acid as well. ​Boosting the immune system - Hemp is known to contain globular proteins that are building blocks of a healthy immune system. Improving digestion - Many protein powders derived from animal products are hard on the digestive tract because they’re loaded with GMOs and artificial additives to make them more palatable. This type of powder is pure, easily digested and more bioactive. ​Increasing energy levels - Essential omega 3 and 6 fatty acids produce twice the energy as carbs once they have been metabolized. Repairing muscles - This protein contains every essential amino acid necessary for muscle repair following strenuous workouts or general over-exertion. ​When it comes to hemp protein, its essential purity and high degree of bioavailability minimize any potential side effects. If they do occur, they tend to manifest themselves in the GI tract as mild cramping and bloating and perhaps diarrhea. Any change in the diet runs the risk of creating side effects, whether or not the element added to or subtracted from the diet is healthy or not. Whey protein is a byproduct of cow’s milk. As such those with lactose intolerance, vegetarians and vegans will want to take a pass. Beyond its problematic sourcing, however, whey protein in its powder form commonly contains a proprietary mix of artificial preservatives, genetically modified organisms as well as sweeteners and flavor enhancers. These types of powders belong to a family of plant-based proteins that display high degrees of purity and effectiveness without causing the sometimes nasty side effects that accompany protein powders sourced from animal products. 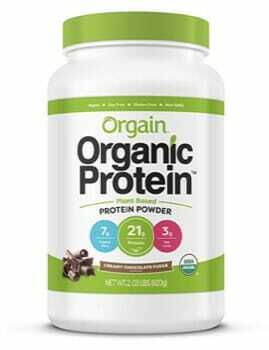 Those powders like that from Orgain Organic deliver the vital protein required by athletes, fast-growing youngsters, busy professionals under the dietetic gun, vegans and more. Orgain is also an ideal supplement for those on a low carb or keto diet who need to watch both calories and carbs and it's USDA organic certified as well. All the organic protein powder products on our list will produce the results you’re after with Orgain leading the way in both purity and effectiveness. Been reading a lot of articles from you guys and thanks for convincing me to go organic. Currently enjoying the best hemp protein powder out there. Plant-based all the way!